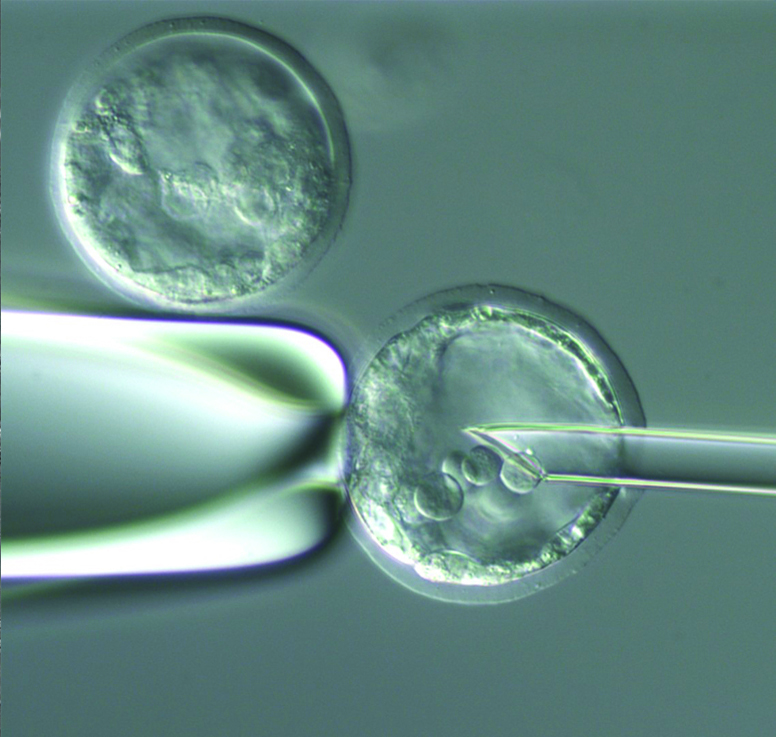 Microinjection of embryonic stem cell (ESC) lines into mouse blastocysts service. The microinjection of mouse ESCs into 3.5 day old mouse embryos is performed to generate chimeric mice from genetically modified mESCs. This method is an essential step in the generation of precisely modified alleles (e.g. conditional, knock-in or null alleles). The ESC microinjection experiments are generally performed using 3.5 day old embryo derived from natural matings of C57Bl/6 mice. Pups will be born about 3 weeks after injected blastocyst are transferred to a recipient animal. Once hair color has established, percentage of chimericism is noted. Please note that after the microinjected embryos have been transferred into the uterus of a pseudopregnant recipient animal, the animals become the financial responsibility of the investigator and are housed under his/her animal protocol number within the Vanderbilt Barrier facility. Dams are serology tested at weaning. DAC staff review serology results, approve movement of mice, and transfer all new chimeric mice to PIs mouse housing room at about 4 weeks of age.